The need for qualified health care providers in the United States is high, especially in rural areas. To address the short supply of doctors and health care workers, the government is easing certain immigration requirements, making it easier for certain individuals to work in the U.S. The law firm of Coleman Jackson, P.C., works with hospitals and clinics in the U.S., as well as foreign health care workers looking to come to the U.S. to work. If you have questions about employment-based visas for health care workers, please contact us online today. Good news for certain health care workers:Labor certification is required for many employment-based visas. However, certain occupations are pre-certified by the Department of Labor, usually due to a shortage of qualified workers already in the U.S. As a result, some foreign health care workers do not have to obtain labor certification in order to work in the United States. 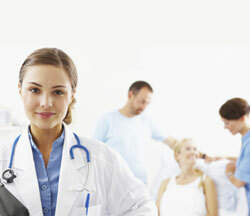 Are you a foreign doctor looking to come to the United States to work? Our law firm can help you through the process of seeking a work visa, and provide advice for obtaining work in the United States. If you have already been in contact with a U.S. hospital, we can work directly with that facility through the immigration process. Are you a representative from a hospital, clinic, or other health care facility that is looking to hire a foreign health care worker? Our firm can help you understand the immigration requirements and guide you through the process of hiring a foreign worker. If you are interested in learning more about work visas for health care workers in Texas, call 214-599-0431 or contact us online.